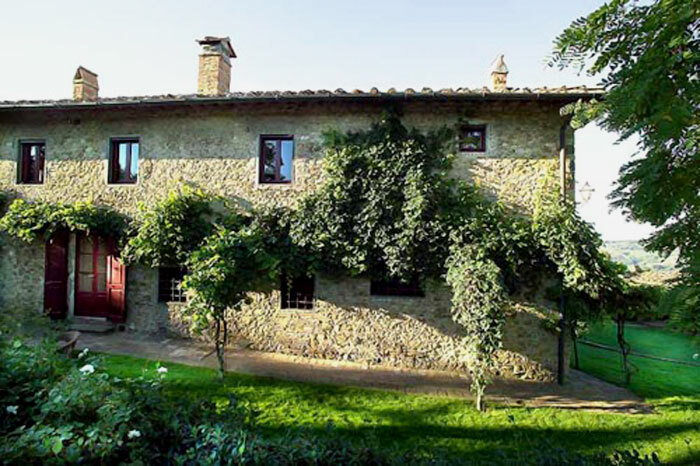 This 16th century Tuscan wedding villa, set in the Chianti countryside, offers spectacular views of the garden and the surroundings of rolling hills, vineyards and olive groves. 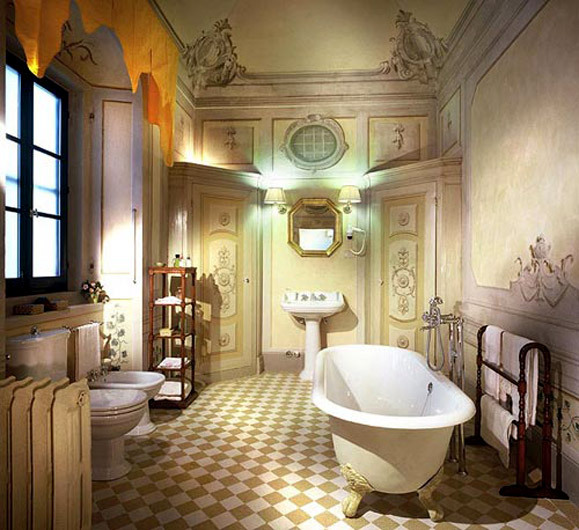 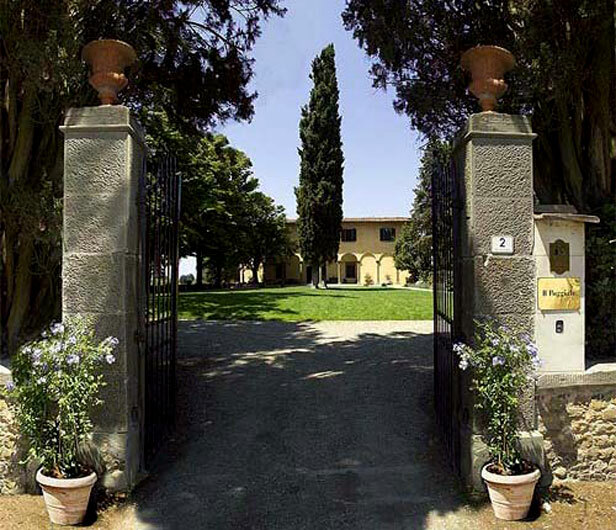 Just outside Florence, this beautiful setting for your dream wedding in Tuscany has been elegantly renovated and furnished: its frescoed Main Salon, the renaissance Loggia will make you experience the relaxed atmosphere of a Florentine nobillity private villa with the attentive service of an hotel. 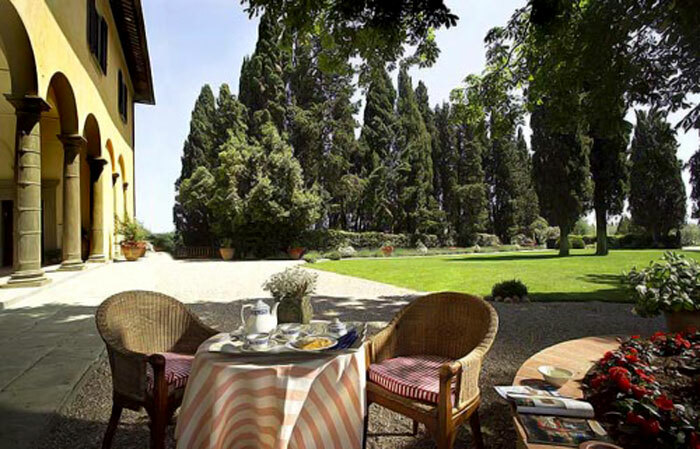 Welcomed by a superb garden, framed by cypress trees and rose gardens, this magnificent location for your wedding in Tuscany can accommodate medium sized wedding groups (50 to 65 guests) in 24 rooms and suites as well as 2 depandances, all beautifully decorated with antique furnishing, precious fabrics and beamed ceilings. 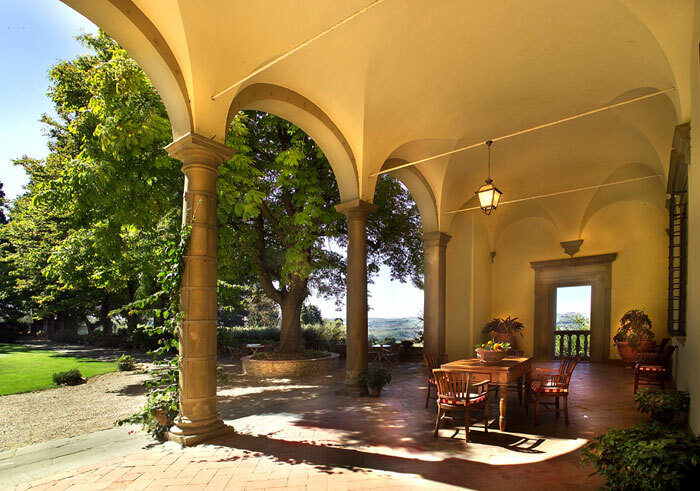 Your guests won't forget this beautiful Tuscan wedding Villa and will enjoy the many cozy corners for reading or sipping a glass of wine. 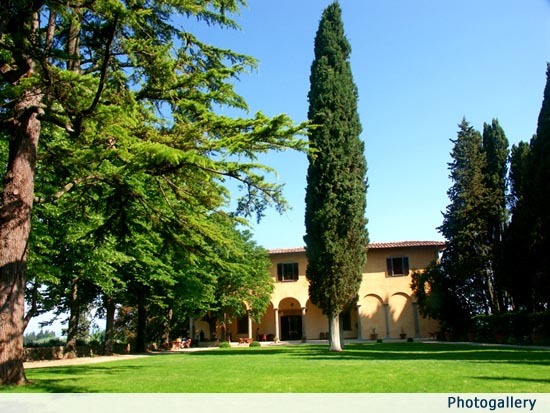 To complete this magnificent wedding venue out of Florence the outdoor swimming pool surrounded by olive groves with stunning views on the countryside; the restaurant on site is well rated on the main restaurants guides for its Tuscan dishes: serves Buffet dinners on high season. 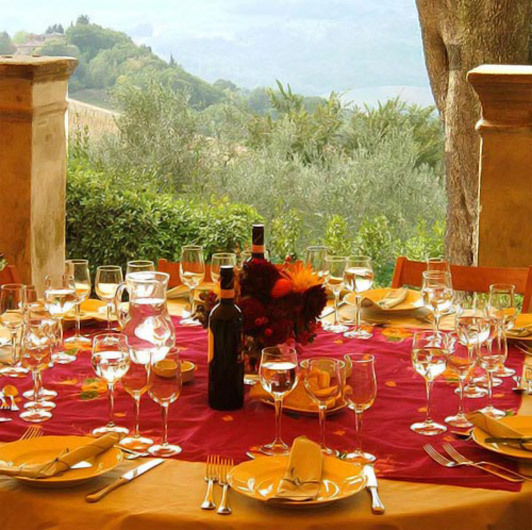 Dinner on low season and lunches the whole year round are on request. 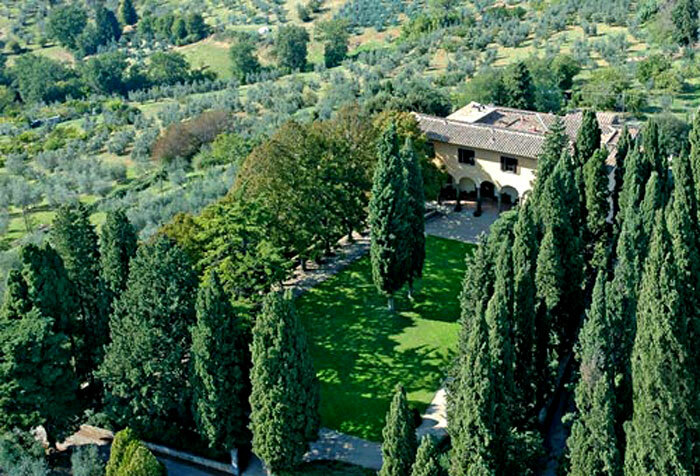 To enjoy this Tuscan wedding Villa, a wedding dinner reception can be held in the Tinaia Restaurant hall: between 50 and 65 guests might be accomodated inside; or outside on the terraces with beautiful views. 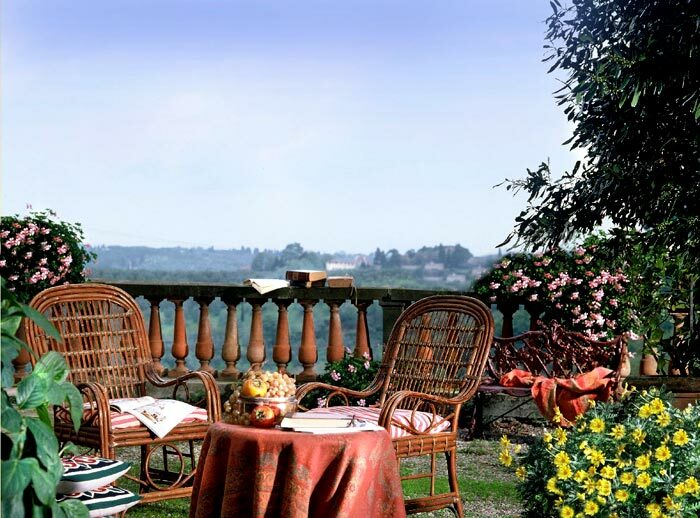 A romantic wedding aperitif reception can be organized in the garden areas. 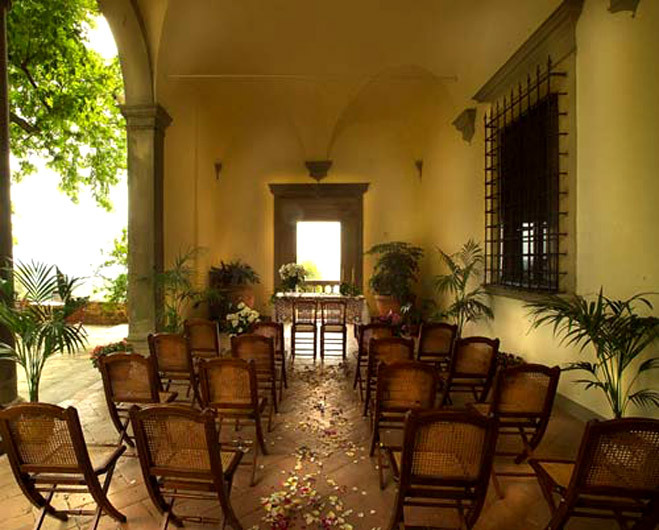 A symbolic blessing can be held on the gorgeous central courtyard or at the pool area as well as under the Loggia; Religious weddings in close by Churches and civil wedding ceremonies are possible in nearby town halls as Florence Town Hall, Certaldo Town Hall or San Gimignano Town Hall. 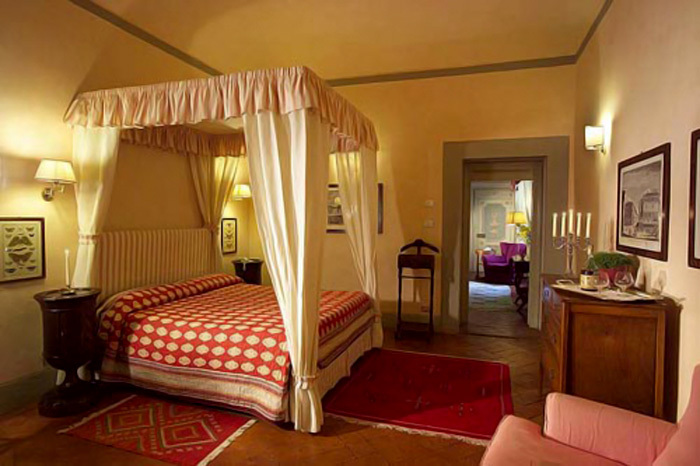 Exclusively for 52 pax (with additional beds: 67 pax maximum), in both: Villa and two dependences. 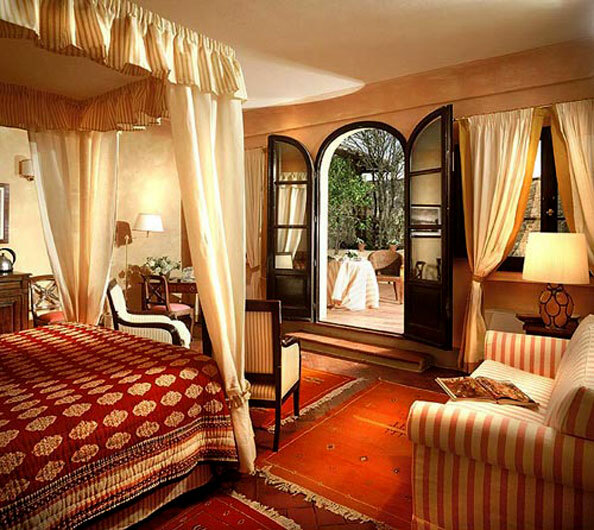 But ideal also for smaller wedding groups. Florence: 20 min., Siena: 1 hour, Pisa: 1 hour 30 min.